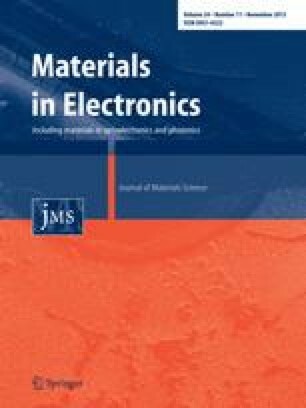 Materials having high thermal stability and electrical conductivity form potential candidates for electronics. In this study, a thermally stable nanocomposite of nanophotoadduct of pentaamminechlorocobalt(III) chloride with hexamine and polythiophene (PTh) was prepared by oxidative chemical polymerization in the presence of FeCl3 as oxidant and thiophene monomer. Photoadduct was obtained by photoirradiation followed by substitution with hexamine ligand which was then milled in G5 planetary ball mill to obtain nanophotoadduct which is confirmed by X-ray powder diffraction. The formation of nanophotoadduct and its incorporation in PTh structure was endorsed by fourier transform infrared analysis. Empirical formula of the nanophotoadduct was found to be [Co(NH3)2(OH)3C6H12N4]·2H2O. SEM analysis revealed uniform distribution of nanophotoadduct in PTh matrix. Crystallite size and strain analysis revealed further decrease in size from 34 (nanophotoadduct) to 15 nm (nanocomposite) using different methods of analysis which were well correlated. This size reduction was attributed to the microstrain in the nanocomposite. TG revealed that the nanocomposite and PTh underwent 62 and 80 % weight loss at 1,000 °C respectively which clearly indicated the higher thermal stability of nanocomposite compared to pure PTh. Little change in the glass transition temperatures of PTh (170 °C) and nanocomposite (167 °C) is observed from DSC which indicated smaller plasticizing effect of nanophotoadduct. I–V curves of nanophotoadduct showed its diode like behavior while as nanocomposite depict nearly ohmic behavior. These results illustrate that the nanophotoadduct play two important roles, one that it acts as a Schottky diode material and second that it increases the conductance and thermal stability of PTh. Nanocomposite thus obtained can operate at relatively high temperatures in electrical appliances. The authors are grateful to Department of Science and Technology, Government of India for financial assistance to carry out this research work under research Project No. SR/NM/NS-97/2008. The authors are also grateful to Prof. Rajat Gupta, Director, NIT Srinagar for help and support.